He’s been called the John Williams of the video game world, and the description is apt. Born in Kouchi City Japan on March 21, 1959. Nobuo started playing the piano at the age of 12 and has never been formerly taught. By his own admition, he said he wanted to learn to play the piano because he wanted to be like Elton John. After finishing high school, Nobuo graduated from University of Kanagawa and his major was suprisingly not music! When Nobuo turned 22, he joined many amantuer bands as a keyboard player, but he discover that he love writing music more then playing, so he decided to pursuit a career as a composer and sent out many demo tapes to many companies. One of them finally hired him to write some music for radio CM. 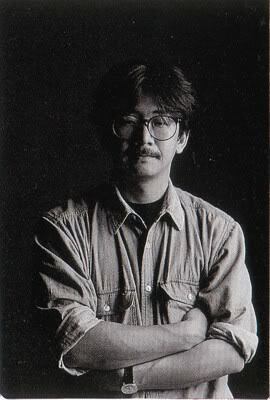 In 1985, one of Nobuo’s friend, who was working at a video game company called Squaresoft, asked Nobuo if he wanted to write music for some of their video game and the rest is history. In his spare time, Nobuo enjoys listening to Irish music, watching Japanese pro wrestling, drink/make beer and learn how to play the Fiddle. Nobuo left squaresoft in 2004 to form his own production company ‘smile please’, and is still very much active as a free lance composer in the game/film industry .